The Destruction of Syria. Will Military Action put America and Russia on the Dangerous Path of a Possible Confrontation? The civil war which has raged in Syria for a period exceeding a two year mark has now entered what will be its decisive phase. This will determine whether the government headed by Bashar al Assad will prevail or be dislodged. It will also determine whether any military action undertaken by the United States will meet a response of critical counter measures by Russia; the nature of which could put both nations on to the dangerous path of a possible confrontation. 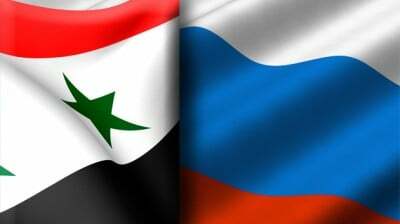 It will finally determine whether the conflict will lead to a full blown regional war; the denouement of which will reveal the viability of the continued existence of Syria as a nation state. The key to understanding this particular conflict and its significance is to keep in mind what ultimately lies at its root: the confrontation between the United States and its old adversary, the Islamic Republic of Iran. While grievances, dissatisfactions, and dissenting sentiments did exist among segments of the civil population over the decades-long authoritarian tendencies of the incumbent rulers who are largely drawn from the minority Alawite group, the extent of the current insurrection -some would proffer that it should be more accurately labelled an invasion- could not have attained this level of magnitude without the active manipulations of foreign state actors; each with a vested interest in ensuring the effective neutralisation and overthrow of the Assad government and even, ultimately, the dismemberment of the Syrian state. Turkey, for over a decade under the ‘soft-Islamist’ governance of the Justice and Development Party led by Recep Erdogan, has exhibited foreign policy inclinations which some have interpreted as harking back to its Ottoman past, while the conservative Sunni Kingdoms on the Arabian peninsula led by Saudi Arabia and Qatar are keen on curtailing what is seen as the surgent power and influence of Shiadom. This power and influence as articulated through the respective roles of Iran, Syria and the Lebanese organisation Hezbollah, has often been referred to as the ‘Shia Crescent.’ It is an alliance which poses a threat not only to the aforementioned Sunni Kingdoms but also to the United States and to the state of Israel. American antagonism towards Iran of course dates back to 1979 with the assumption to power of the Islamic regime led by Ayatollah Khomeini in the period which followed the revolution that overthrew the rule of the American-backed Shah. Iranians in turn recalled that the first democratically elected government in Iran; that of Mohamed Mossadegh, was in 1953 overthrown by a coup d’etat which was orchestrated by America’s Central Intelligence Agency. This animus continued through the Iran hostage crisis when American embassy staff were seized by Iranian revolutionary guards and held hostage and continued during the 1980s during US intervention in the Lebanon as well as the 8-year Iraq-Iran War in which the Americans backed Saddam Hussein, the Iraqi dictator who was the aggressor in that conflict. This mutual hostility has persisted right to the present day and although the major enemy following the September 11 attacks of 2001 was the Sunni-created al Qaeda which established a presence in Iraq during an insurgency by Sunnis, by 2006, the administration of President George W. Bush had reconfigured its priorities to clandestinely work with and enhance the capabilities of Sunni militant groups in both Lebanon and Syria with the aim of weakening Hezbollah, the Assad government and ultimately Iran. This premise, that the fall of Syria under the control of the Baathist government of Assad has been a foreign policy objective of the United States has found expression in a number of policy documents and think-tanks including, most notoriously, that produced by the Project for the New American Century. This neo-conservative group proposed that the United States needed to take advantage of a post-Cold War world in which a vacuum had been left by the disintegration of the Soviet Union. In shaping the global framework to its advantage, the United States needed to bolster its military expenditure and resolutely “challenge” regimes which were hostile to its “interests and values”. Featured among the list of hostile states were Iraq, Syria and Iran. The election of George W. Bush brought neo-Conservatives to influential positions and ensured the beginning of a process which is continuing to the present. Retired General Wesley Clarke, the former supreme commander of NATO, would later describe how on a visit to the Pentagon after the September 11th attacks, former colleagues had alerted him to the existence of a memorandum spelling out how the United States was going to “take out seven countries in five years.” These he revealed to be Iraq, Syria, Lebanon, Libya, Somalia, Sudan and “finishing off” with Iran. There are increasingly many who are disinclined to subscribe wholeheartedly –if at all- to the reasons given for United States-led or backed interventions under the guise of the phenomena styled respectively as the ‘War on Terror’ and the ‘Arab Spring’. While overtly predicated on issues related to countering terrorism or protecting populations or spreading democracy, each operation has had either an ascertainable economic motive or is one based on the long term national objective of effecting the downfall of a regime identified as been “hostile” to American interests. By exploiting the apparently genuinely peaceful civil demonstrations which had developed in early 2011 while the so-called ‘Arab Spring’ was in full bloom through covert support for the contrived opposition ‘Free Syrian Army’, the Syrian conflict has brought the Arab world to the precipice of a potentially catastrophic clash between Sunni and Shia denominations of the Islamic faith. But if the eventuality of a regional sectarian confrontation was not among the desired outcomes envisaged by the policy-makers of the United States, it is safe to assert that the deliberate exacerbation of ethnic-religious tensions within a nation of which affairs the United States is attempting to influence has become a time-honoured technique utilized by its intelligence agencies. It was a tactic which was employed with brutal finesse via Shia-dominated police death squads in Iraq which were trained and funded to aid in the neutralisation of the Sunni-led anti-American insurgency as well as in the training and arming of the Islamist and tribally-motivated rebels who succeeded in overthrowing the government of Muamar Gaddafi. While Turkey, Jordan, Saudi Arabia and Qatar have provided logistical points for the transport of arms, the provision of the mercenary component of the anti-Assad forces and funding, the United States has served as an overseer. For instance, in March of this year, a number of Western newspapers reported the shipment of several thousand tonnes of weapons from Zagreb to conduit nations in aid of what were referred to as “Syrian militants”. This transaction was said to have been paid for by the Saudis and Qataris at the behest of the United States. Ever mindful of the humiliations and other depredations potentially attendant to direct interventions, this sort of discreet, ‘at-arms-length’ operation is one favoured by the United States government as a ploy that is aimed at flagrantly circumventing domestic legislation geared towards restraining foreign entanglements through the funding and training of external belligerents. But the camouflage which worked in the endeavour to overthrow Libya’s Gaddafi has failed to work in the case of Syria. The difficulty of achieving this was quietly acknowledged right at the onset of the conflict. For one, the strength of the Syrian armed forces in terms of manpower and weaponry rendered any attempt at undermining its government an altogether different proposition from that of Colonel Gaddafi who purposely maintained a smaller, relatively lightly armed army as a strategy for lessening the chances of a successful military putsch from among the ranks of his soldiers. Secondly, both the Russians and Chinese who felt deceived by consenting to what they were led to believe was intended to be a vastly more limited form action under the United Nations ‘Responsibility to Protect’ doctrine in Libya, have remained unyielding in blocking American attempts to give NATO a UN-stamped green light to embark on a direct form of intervention. Nevertheless, there is every reason to believe that the US-led coalition of anti-Assad nations made undisclosed time-based projections that the pressures caused by covertly building up the capabilities of the Syrian opposition forces, an expected mass defection from the ranks of the Syrian military, as well as an intensification of sectarian animosities leading to the mass estrangement of the majority Sunnis from the national government would have by now led to the fall of Assad. The frustration at failing to achieve this end has revealed itself in a number of incidents which bore the hallmarks of having been opportunely stage managed. In June of 2012, the shooting down by a Syrian anti-aircraft battery of a Turkish air force jet which was manoeuvring on the border of both countries and which had likely strayed into Syrian airspace appeared designed to serve as a means of invoking Article 5 of NATO’s constitution which provides that an attack on one member state is considered as an attack against all. Again the media debate which followed the explosion back in April of a weapon believed to contain chemical agents and the subsequent vigorous examination of President Barack Obama’s previous enunciation that the use of such weapons would represent the crossing of a ‘red line’ which would necessitate the use of American military power appeared to represent an aggressive surge to facilitate public approval for intervention. With the drift of the conflict swaying decisively in favour of the Assad army, which with a contingent force of Hezbollah fighters scored a decisive victory in June over the opposition at the Syrian-Lebanese border town of Qusair, the stakes became much higher. The waning of the opposition which itself is bedevilled by the al Qaeda affiliations of the Jabhat al Nusra Front and the Islamic State in Iraq as well as allegations of and the confirmed instances of perpetrated atrocities effectively put the pressure on the United States to intervene. This is why the nerve agent attack on Ghouta, a community to the east of Damascus on August 21st which killed anything from 350 to over a thousand people, has come at a time which can only be described as been particularly propitious. Why, many have asked, would the ascendant forces of the Assad government resort to the use of chemical weapons given that the advantage is with them? Why would they use them when in full knowledge that the United States would seize upon such use as a justification for finally intervening in a direct manner? In many ways the conflict has built up to this moment. The failure of the efforts to destroy the Assad government has forced the hand of the United States to intervene based on an event which was either a tragedy staged with the specific purpose of blaming the Syrian government for using chemical weapons or even if the Assad regime was responsible, is an intervention based on an uncertain aspect of international law. For while the Geneva Convention does outlaw the use of chemical weapons there is not an unequivocally concomitant provision entitling foreign intervention by means of invasion or using punitive measures to deal with transgressors. Evidence indicates that this is not true. For instance, last May, there were reports from the Turkish media indicating that the authorities had found a 2 kilogram cylinder of sarin nerve gas after searching the homes of Islamist Syrian guerrillas. There is no great mystery or complexity about the adaptation of chemicals to weaponry which can come pre-packaged and be loaded onto an array of conventional guns or rocket launchers. There is the allegation, based on interviews conducted by an AP-affiliated journalist, that the nerve agents which were used in Ghouta had been supplied by Saudi Arabian intelligence. And in August, Syrian state television broadcast footage of soldiers finding chemical agents in rebel tunnels in the Damascus suburb of Jobar. Further, the Syrian ambassador to the UN has called for a United Nations investigation into three alleged chemical weapons attacks against its soldiers which occurred in August. The United States, it needs reminding, has never stipulated any measures that it would take against the opposition if it resorted to chemical warfare. Although sound in principle, the idea of striking out at those who use chemical weapons in order to serve as a deterrence is one which is not strictly proportionate in terms of the damage inflicted on humans by other forms of weapons which have been used by the armed forces of the United States, Russia and Israel. In Iraq, babies continue to be born deformed as a result of the agents contained in American bombs used during the Gulf War. There were no red lines drawn when Israel used phosphorous agents and depleted uranium shells in Lebanon and in Gaza. There are those who also assert that the United States policy on chemical weapons as been inconsistent if not reeking of hypocrisy given that the Iraqi army under Saddam Hussein used chemical weapons with impunity against Iranian soldiers during the war in which it had sponsored Saddam. It would be remiss not to mention the role of Israel as a key party with a huge interest in the fate of the Assad government and of the future of Syria itself. The impression which has been given by much of the media is that Israel has been somewhat passive over the conflict raging inside one of its neighbours and that it is unsure of which side it would prefer to prevail. Although much of the analysis has portrayed an attitude of studied weariness over the outcome; with many assuming that it would prefer Assad to remain in power as it is “better the devil you know than the one you don’t know”, such conclusions amount to a gross misreading of the situation. Here, an understanding of history and the fundamental precepts which have shaped and guided the longstanding attitudes and policies of the Zionist state are critical. It was of course the New Zionist Revisionism as enunciated by Ze’ev Jabotinksy through his Iron Wall Doctrine which asserted that the viability and the sustenance of a nascent Jewish state nestled among hostile Arab neighbours could only be accomplished by foregoing notions of compromise and instead adopting a bullish and brutal military culture which would crush the will of those who would offer resistance. Part of the strategy of dealing with the challenge associated with surrounding Arab nations was that the Zionist state must assume a position of undisputed hegemony which would be accomplished not only by force of arms but by exploiting the differences between and the disagreements among her neighbours. And as the breaking up of the Ottoman Empire would serve as a pre-condition for the establishment of a state of Israel, so it was argued that its survival would be better assured by the weakening of successor artificially constructed Arab states, which should be broken down into smaller, weaker mini-states. In other words, the existence of large Arab nation states from the Maghreb to the Levant would always represent a potential threat to Israel which should be neutralised when opportunities arise. This line of thinking was at the heart of David Ben Gurion’s policies in the 1950s which sought to exacerbate tensions between Christians and Muslims in the Lebanon for the fruits of acquiring regional influence by the dismembering the country and the possible acquisition of additional territory. It formed the basis of his vehement objections to Charles de Gaulle’s decision to grant independence to Algeria. It was certainly at the heart of the plan of policy drawn up by one Oded Yinon in the 1980s. The ‘Yinon Plan’ strategized a vision by which the ethnic-tribal rivalries and the economic maladies within larger Arab states should be exploited to the extent of creating the conditions by which the balkanization of such states could be achieved. Thus the plan elaborated on designs for specific countries such as Iraq which would ideally be divided into three mini-states: one Kurdish and the other two Arab of which one would be Sunni and the other Shia. For Egypt, the most populous Arab nation, the best case scenario was that of a Coptic Christian state and numerous other Muslim states. Addressing the potentially fractious state of affairs in its north eastern neighbour, Yinon’s essay noted that “Syria is fundamentally no different from Lebanon except in the strong military regime which rules it”. A continuum of this thinking is apparent in ‘A Clean Break: A New Strategy for Securing the Realm’, a policy document produced by a team led by Richard Perle in 1996 for then serving prime minister Benjamin Netanyahu. Perle, it should be noted, was a contributor to the aforementioned Project for the New American Century. ‘The Clean Break Document’ proposed that Israel give up on any objectives geared towards achieving a comprehensive peace with the Arab world and that it should instead work together with Turkey and Jordan to “contain, destabilize and roll-back” those states which pose as threats to all three. Just as with the PNAC document, the strategy behind Israeli policy was to effect the “weakening, controlling and even rolling back” of Syria. The threat posed to Israel by Syria thus has until recently been that of an ostensibly united state in possession of a substantive mass of territory and relatively large population under a strong form of leadership. Israel of course has over the decades successfully countered those threats posed by Syria when Syria was part of coalitions of Arab armies as well as specific confrontations in Lebanon such as when their air forces famously clashed in duels over the Bekaa Valley in the early 1980s. Israel is a nation which from the time of its inception has operated with what has been described as “strong survival instincts”. It has consistently penetrated the highest levels of the command structures of Arab military and guerrilla organisations including those of the Syrian state and groups to which Syria has given refuge as well as those operating within its borders but which are hostile to the government. Indeed, one of the most spectacularly successful feats of Israeli foreign intelligence was the Mossad operation in which an Egyptian-born Jew of Syrian-Jewish parentage, Eli Cohen, insinuated himself among the political and military elites of Syria by posing as a wealthy Syrian-Argentine returnee. Before he was captured and hanged by the Syrian authorities, Cohen succeeded in relaying vital pieces of information to his handlers which would be of importance during the impending Six Day War of 1967. The penetration of terrorist groups is among the most difficult of endeavours in the field of espionage, but Israel has consistently succeeded in this regard. In 1991, it was alleged that the United States, then embarked on a rapprochement with the Syrian government, had unwittingly unmasked “two or three” Palestinian agents working undercover for the Mossad in a Syrian-based guerrilla organisation who were later executed. There is no reason to believe that these endeavours of espionage have not continued. The current civil war has prompted much in the manner of overt and covert activity along the Golan Heights border with Syria, the area which Israel seized after the 1967 war and which it later annexed. The Israeli Defence Forces have mobilized troops and conducted a number of manoeuvres along its Syrian border. It has launched missiles into Syria and conducted bombing missions -all of which are illegal- which are believed to have cost the lives of significant amounts of civilians. Its air force bombed a research centre in January of this year and a convoy of weapons which they claimed were Iranian supplied and in transit to Hezbollah in Lebanon was destroyed. While the media mulled over whether the Assad government would respond to the research centre operation with a retaliatory attack on Israel as a means of widening the war and possibly setting the scene for an Arab-Israeli war if Israel embarked on an all-out attack on an Arab nation, one leader of the Syrian opposition publically pledged not to attack Israel. Israel is central to the purported evidence that the American government is relying upon as confirming the culpability of the Assad government in regard to the chemical weapons attack which may lead to American strikes. The intercepted phone call apparently implicating members of the Syrian military command structure emanated from Israeli military intelligence, the IDF’s 8200 Unit. There is every reason to treat such evidence with caution. For instance, the formidable listening post operated by British intelligence on Mount Troodos in Cyprus does not appear to have picked up any messages implicating the Assad government in the chemical attack. Such intercepted evidence would have been made available to the British Joint Intelligence Committee and would have been exploited by Prime Minister Cameron in making his case to Parliament for military intervention. It is in Israel’s interest for the United States to attack Syria. Certainly, much of the public discourse in its media has indicated that Israel would welcome the fall of the Assad government. Consider for instance a report by Debka, an Israeli news outlet which related how senior IDF officers criticised Moshe Ya’alon, the defence minister, for having “misled” the Knesset about the amount of Syrian territory controlled by the Assad government. “Erroneous assessments”, Debka stressed, “must lead to faulty decision-making”. Consider also a Times of Israel editorial piece by David Horovitz written in the immediate aftermath of the vote by the British Parliament which ruled out involvement in an American-led attack on the Assad military. The implication here is clear: Horovitz, whose paper had previously confirmed Israeli intelligence as being the source of Syrian responsibility for the chemical attack in Ghouta, is expectant of Western nations to remove the enemies of Israel. But in the absence of the will to do this, Israel will have to resolve to complete the task. It is an attitude that has manifested itself in the policies and pronouncements of successive Israeli prime ministers. For instance, in 2003 as the Bush administration primed itself to invade Iraq, Ariel Sharon called on the United States to also disarm “Iran, Libya and Syria”. More recently, Benjamin Netanyahu issued persistent pleas to the United States to launch attacks on Iran’s nuclear installations in order to remove the “existential threat” that nation is claimed to pose to Israel. It is an attitude which fits into the outside-of-the-mainstream arguments that Israel has through its influential lobbies in the Western world, got America and its allies to ‘fight its wars’; wars which like the one in Iraq they allege have reduced Arab nations into ‘failed states’ which have been effectively balkanized. When earlier this year the veteran journalist Carl Bernstein referred to the “insane” Iraq war as having been started by what he described as “Jewish neo-cons who wanted to remake the world (for Israel)”, he was referring to the proportionately high number of ethnic Jews who were part of the Project for the New American Century and who subsequently held key positions in the Bush administration which orchestrated an invasion that has ultimately led to the division of that country into three distinct segments. It is the alleged power wielded by Israel lobbyists urging military intervention in Syria which some have argued is behind the hardline stances of Western leaders such as Britain’s David Cameron and France’s Francois Hollande. Certainly, the opinion pieces, articles and commentaries on the websites of organisations such as AIPAC, the Anti-Defamation League and the Jewish Institute for National Security Affairs are reflective of a position calling for American intervention in Syria that goes further than mere gestures. Even if the Syrian government arguably deserves to meet its end, the means that have been adopted by the United States and its allies to effect its removal cannot be justified. Although led by a minority of the nation’s population and authoritarian in character, the Baathist government, at the helm of which has been the ruling Assad dynasty, has provided this fractious multi-ethnic country with a lengthy era of stability. The period before the ascent of Hafez al Assad as the strongman-ruler was marked by great turbulence as one military faction overthrew the other in a game of political musical chairs. Its government represents the remnant of the socially progressive, anti-imperialist, non-sectarian movements such as the pan-Arabism pioneered by Egypt’s Gamal Abel Nasser and the Baathist philosophy espoused by Michel Aflaq, a Syrian Christian. The nationalist character of the Syrian state and its secular nature provide the basis for unity and inclusiveness in a society composed of Sunnis, Alawites, Kurds, Orthodox Christians and Druze. This is arguably the most important reason as to why it has survived the onslaught wrought by the Sunni-centred Free Syria Army and the Islamist militants who conceive a chauvinist post-Assad future of a Sunni-dominated state or states within which there would be an imposition of strict Sharia Law. While not as successful or as benevolent as the form of governance afforded by Tunisia’s Habib Bourguiba, the Baath Party has provided most Syrians with a standard of living and a measure of social freedom which compares favourably with other parts of the Arab world. But it is fair to say that the economy has been mismanaged and that nepotism and corruption are rife. The rule of Hafez al Assad, the President’s father is correctly characterised as having been one which was conducted with iron-fisted brutality. The savage clamp down on an insurrection by the Muslim Brotherhood in the city of Hama in 1982 testified to the utter ruthlessness of a ruler who murdered thousands of innocents in order to accomplish his objective. The image of strength however has not been one which the Assads have been able to convey so far as reckoning with Israel is concerned. They have had to live with the brutal reality of Israeli military might. Hafez Assad was the powerful minister of defence when Israel defeated three Arab armies in the Six Day War during which the Golan Heights was overrun and he was president when the Israelis annexed that territory. While Syria can claim that it alone of the three primary Arab combatant nations in the wars with Israel has resisted reaching a settlement with Israel, it has not been able to escape the charge of impotence in the face of numerous acts of Israeli aggression towards it. And while it claims to have never sold out on the interests of the Palestinians, such assertion neglects the fact that Assad senior never put his weight of support behind the largest and segment of the Palestinian liberation movement which was led by Yassir Arafat. Arafat in fact became a sworn enemy of the elder Assad who attempted to have him assassinated in order to install his own puppet Palestinian leader whom he could manipulate in his dealings with his powerful Zionist neighbour. In fact, it was a secret kept for many years by a number of Arab figures that the government of Syria of which Assad senior was an influential member negotiated a secret agreement with Israel on the eve of the Six Day War which ensured that the Syrian Army would do very little in the event of a war breaking out between Israel and Egypt. This betrayal of their Arab allies and the Palestinian people was a secret which those in the know did not mention for fear of fatal retaliation. The history of the world up to the present day informs us that rivalries between international alliances caused by different political, social and economic systems can best be contained by an overarching system of international security which can achieve a measure of stability in the relations between nations, if not quite creating an idealised state of harmonious co-existence. The problem with the policies of the United States and its allies who have fomented and facilitated the troubles in Syria is a failure to recognise that differences can be best contained by adopting strategies which are predicated on respecting national sovereignty and adopting purposeful and genuine policies which are geared towards constructive dialogue. The tripartite alliance that comprises the Shiite Crescent is one which has interests that ought to be respected. The idea of destroying Syria and then Iran whether emanating from notions of the American Empire, Zionist Revisionism, Saudi Wahhabism or the Ottoman school of thought, is one that is rooted in an arrogant mentality; being based on inflexible assumptions which find their raison detre in the aspiration to control and dominate others. In many respects, Syria’s ‘crime’ as with the case of Iran and before the change of regime, that of the Gaddafi-era Libya, was a failure to strictly toe the line so far as being obeisant to Western interests is concerned. The fall of Gaddafi, whose state owed no debts to the international banking system, has paved the way for the intervention of international financial agencies given that NATO’s ‘humanitarian’ action managed to destroy Libya’s infrastructure and will grant Western governments access to the water resources created by Gaddafi’s Great Man River project. Similarly, the fall of the Assad dynasty would pave the way for the building of an oil pipeline from Saudi Arabia to Turkey and would remove a vital supply conduit to Hezbollah whose doctrinal and organisational discipline, reminiscent of the early Zionists in Palestine, has provided something of a check on the actions of Israel. The moralistic stances often taken by America in its history have frequently been compromised by a sanctimonious tone which consistently asserts that its actions are predicated on sound values rather than on naked self-interest. Thus, the intention to launch punitive strikes against Syria for the unproven use of chemical weapons is not based on a profound abhorrence for the act or to genuinely effect a deterrent, but is in fact geared towards giving advantage to the foes of Bashar Assad. That Assad’s foes are Islamic fanatics of the sort against who America claims to be waging a so-called War on Terror is not accidental but is, as previously explained, a consciously adopted policy. The mercenaries who have been armed and financed at the behest of America in a sense gives confirmation to what ostensibly appears to be a grotesque analysis: that al Qaeda has served as America’s ‘foreign legion’ since the time when it financed the Mujahedeen in its ‘holy war’ in Afghanistan against the invading Soviet armies. They have been used in Lebanon in operations against Hezbollah, they were utilised to overthrow Libya’s Colonel Gaddafi and are presently being used in an attempt to effect regime change in Syria. Another point of deep irony is the resolve of the United States to intervene over the deaths of a comparably small proportion of deaths when given the overall tally of lives which have been consumed by an array of devastatingly powerful weapons and intricate but lethal forms of munitions: The agony of death, the finality of physical destruction and the legacy of tragedy are all consistent features regardless of the means by which they are realised. It is a war which would almost certainly have never reached its current level of intensity and depravity without the active connivance of the United States. That the expected campaign of strikes on Syria, ostensibly based on humanitarian precepts will end up killing and maiming even more people is, perhaps, the deepest irony of all. Adeyinka Makinde is a writer and law lecturer based in England.